Facebook for Writers: Do You Need an Author Page? Maintaining a presence on Facebook is time-consuming. First, you need a personal Profile Page and some friends. Then you'll want to connect with potential readers in Facebook Groups interested in topics you write about. In addition, you're supposed to create and maintain an Author page. Or maybe not. This article discusses the Pros and Cons of Author Pages, recent changes to Facebook and how they affect writers, as well as tips for getting the most out of Author and Profile Pages. - Promote your writing on your Author Page without spamming friends and family who follow you on your personal Profile Page. - Schedule posts in advance to save time. 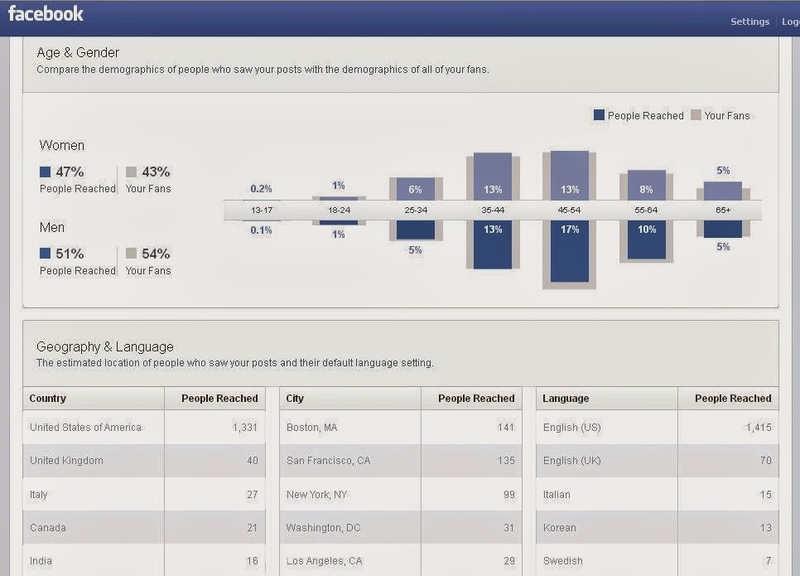 A Facebook Author Page provides demographic information about your fans -- information that maybe useful in a book proposal. 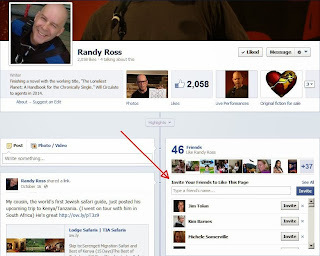 - Adding Fans to an Author Page is more difficult than adding Friends to a Profile Page. With a Profile Page, you can basically send a friend request to anyone you want. With an Author Page, you can't view a person's Profile Page, send requests directly to them, or even comment on their posts -- even if they've Liked your Author Page. 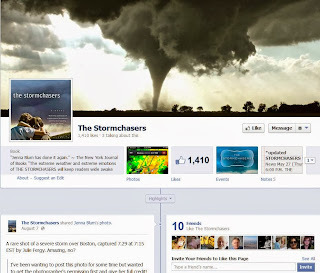 - Upcoming changes by Facebook might make Author Pages even less useful. For example, the proposed addition of a Follow button on your Author Page means someone could Like your page without receiving your updates. - Visit your Author Page from your Profile Page and invite Friends listed there to Like your Author page. - Ask friends on your Profile Page to Like your Author Page. - Post a Like button on your blog and in e-mail signature. Unclear if this works. - Other tips of questionable usefulness. Log into your Profile page, visit your Author Page, and "Invite Your Friends to Like This Page." - From your Profile Page, visit your Author Page and "Like" some posts. Yeah, this is sleazy, but it works. - Upload photos or videos to Facebook instead of just posting links that take readers off of Facebook. 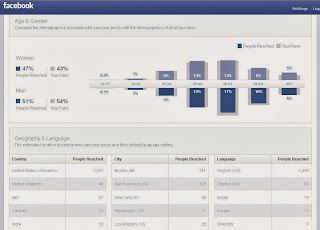 Maybe I'm cynical and paranoid, but it seems that posts that don't lead visitors away from Facebook, reach more people. - Pay for an ad or promote a post to your Fans that explains if they want to see your posts, they need to Like or comment on a post on occasion. Instead of creating an Author Page, authors may want to use their Personal Page for interacting with Fans and create a separate page for any books they've written. This is also another way for people searching for you or your books to find you on the Web. 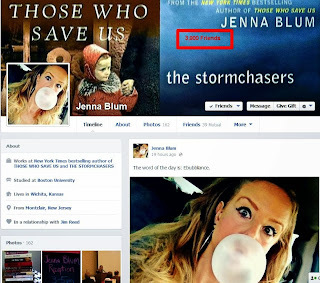 Here's a Book Page created by author Jenna Blum, who also has a Profile Page with almost 4,000 Friends. Jenna Blum also has a Profile Page with 3,900 "Friends." To get the most out of your Profile Page, you'll need to turn on a feature called "Follow," which lets people you don't know -- or even like -- follow posts you designate as "Public." These folks will not see Posts you want to share only with "real" friends. This feature is similar to the Follow feature on Twitter. - You can maintain just one Page, your Profile Page, on Facebook. - It saves time: If someone sends you a Friend request -- you don't need to respond and they'll still see your Public Posts. Some good posts that explain how to activate Follow on Facebook. - Add a Follow button to your blog. Book Marketing: Is a Facebook Fan Page Useful? For the last year and a half, I've been trying to develop an audience for my writing and a platform for a novel I've yet to finish. I followed the advice of book marketing bloggers and published authors. I drew on my experience with online marketing and Web publishing. I devoted one day a week and a couple of hours most other days to this project. Here's what I have to show for my efforts: It's not impressive. *Source: a 2012 Writer's Digest article, but I can only imagine expectations getting larger not smaller. - One agent in the article said she would be impressed with 10,000 social media connections. - Another agent blog said that for fiction, having a big platform is less important than it is for writers of non-fiction. Of course, there is an easier way to impress an agent with your social media numbers. No time for social media, but lots of money? Buy followers who will ignore all your posts and never buy your book. But hey, you'll have an impressive platform. But there also seems to be a point of diminishing return -- and I have other work to do. - My blogs tend to be long: Better to be long and thorough, than short and useless, particularly if you want people to sign up for your blog. - I've also noticed that some literary agents who used to blog daily are now blogging less frequently. I blog most Mondays. 3) Posting links to blogs in social media groups and on Web sites frequented by people interested in my topics. 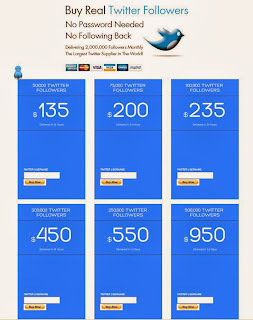 - This is more effective than having thousands of Twitter followers and Facebook Fans who never look at your stuff. - Be sure to ask folks to leave their e-mail addresses if they want to get on your e-mail list. - My recent experience assembling my work into a one-hour reading and performing it at a fringe theater festival. - Again, I don't have a published book, but in writing my novel I've developed some areas of expertise, including world travel and social media. - I've given travel lectures at local adult education centers and at a local store that sells camping gear. I sent a pitch to a local hostel. - I've been on panels talking about my experiences using social media. - On Linked In and Twitter, I've met other writers and influential people in Chicago, Philadelphia, and Florida. (I live in Boston) If I ever did a book tour in those areas, these people might invite friends. - Some blogs have reposted my blogs, which has driven traffic. - Those blogs include a Boston writer center and blog carnivals. - Again, most of my traffic comes from posting links and communicating with people in groups and forums interested in the topics I write about. - Twitter hashtags have produced little traffic. - One caveat with Twitter: I have two Twitter pages. One is for book marketing and promotion. The other is for a chonically single people, a theme in my novel. The chonically single page does generate some traffic -- and it has a tenth the followers of my book marketing page. So, your Twitter results may depend on your audience. - I continue to be active on Twitter because it boosts Klout score, a number is considered important by some agents, publishers, and employers. All about Klout scores in plain English. 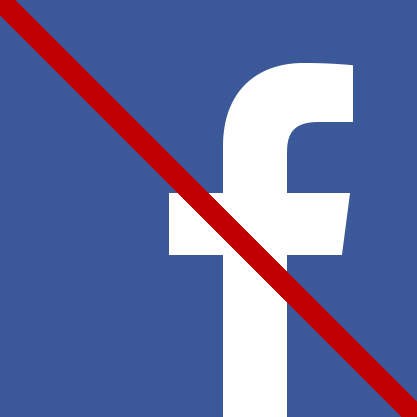 - Facebook continues to limit the number of friends and fans who see your posts. I have 2,000 fans, most of whom used to see my posts. In April 2012, Facebook began showing my posts to only about 500 of those people. In September 2012, that number was reduced to about 200. Now the number is about 100. 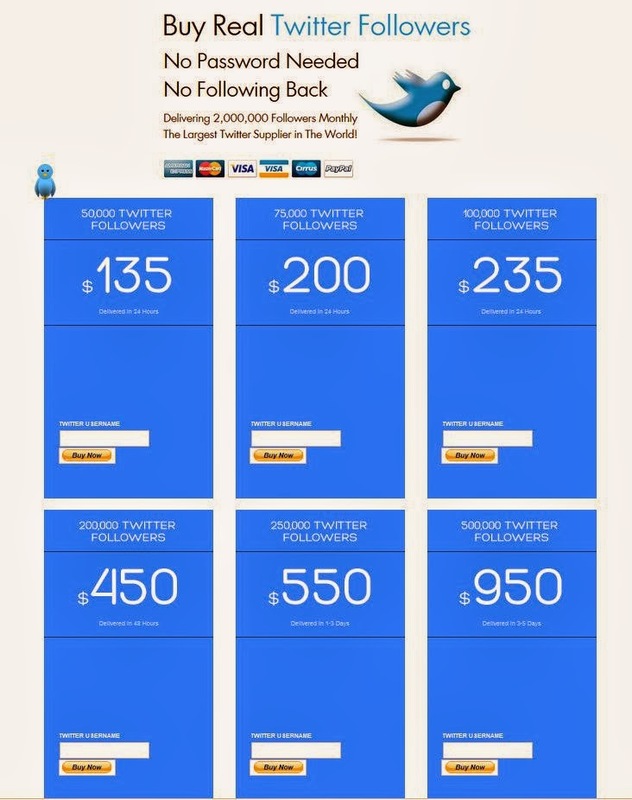 To reach all 2,000 of my fans, I have to pay Facebook. - Facebook experts claim that posts that receive a lot of "Likes" and comments will reach more people. Maybe, but I'm not convince. - I once paid $20 to reach all 2,000 of my fans plus 8,000 of their friends. Most of the people who saw my post were non-native English speakers living in developing countries. More on my experience. I found a Web site that allows you submit blog posts for posting on other people's blogs. For book marketing, I've used The Book Designer's Carnival of the Indies. But there are other blog carnivals for other topics. Had Enough Book Marketing for One Day? 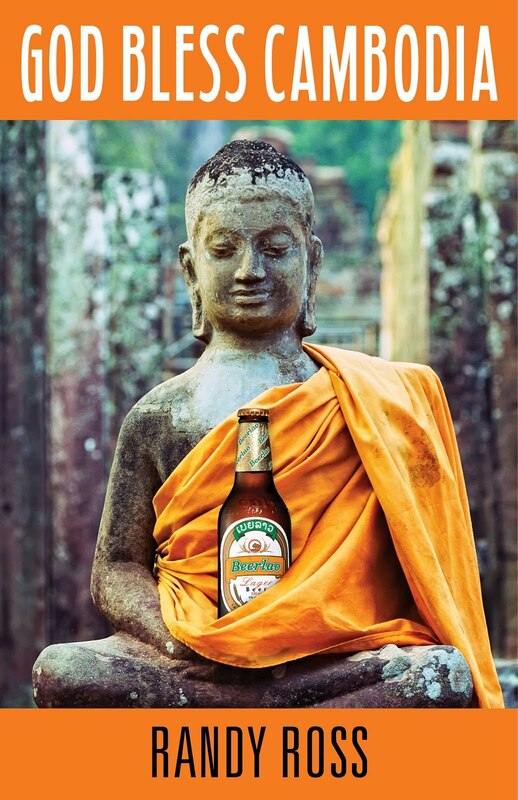 - Vicodin, Klonopin, or Heineken: What Do Unemployed Writers Have for Breakfast?